Do tell. That sounds interesting. 90racing.com and Shane @ DBperformance did an amazing job making sure #194 had everything we needed to perform well. I hit the Camaro parts in T1 ruining our race. I thought the thorough tech pre race from Ray and Jay was great. I thought the event went smooth, and I can’t wait to get on track to drive for Rbank Racing at another Champcar race. So I'm guessing it was the lateral link that fell out. WTF? It just fell out! Looked like one side broke off in the process. WTF was my reaction too! Was that off the Riley car? 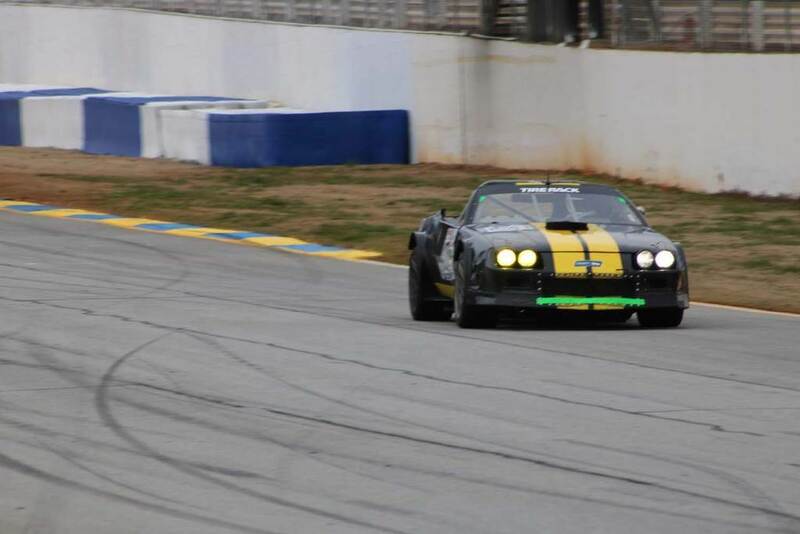 No, the Riley car is black with stripes over the top and huge tires all around (315's). No, after littering the track with parts the white lightning Camaro ended the race with -24 laps. Sorry to the CRX (#red0), we would have liked to have spent more time racing and less time dropping parts. This was our first event with a car we bought off the web back in October... evidently the welds to the ford 9" fatigued cracked and then the rod sheered at the h joint 3' away. We worked on a lot of things on the car to get ready for this race, sadly this was not one of those items. very disappointing weekend. I didn't know about your oil pan till reading on the web today, sorry you were caught into our misfortune. We don't know your name, what car you drive, where your from, what beer you drink, etc. All things the rest of us share.